I purchaed a Fujifilm X-H1 so I don’t need two X-T2 bodies, so I’m selling my back-up body that has far less frames on it. Why not keep the back-up? Because Fujifilm gave all X-Photogprahers a X-T2 with our names as the serial number, can’t part with that one, though I’ve shot it a lot, lot more! Here is the deal, first email saying I want this camera gets it. 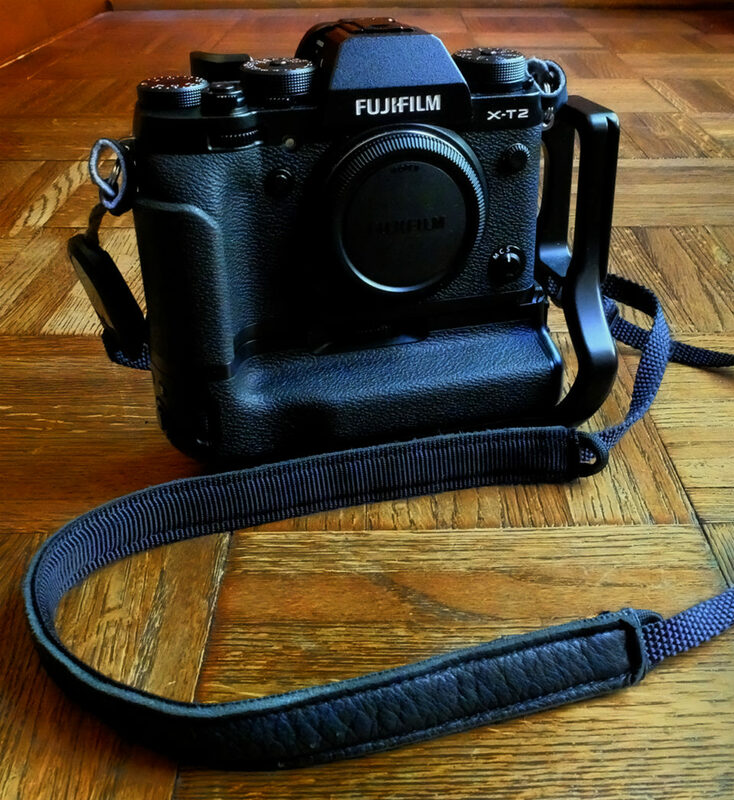 It is a Fujifilm X-T2 with low frames, like new it includes a thumb rest, battery drive (3- batteries), a Really Right Stuff custom L bracket, and a Peak Design strap connectors and a $ Elk skin Wapiti strap. Amazon price for body and Vertical Battery Grip is $2,029. Elk Skin Wapiti strap and Pak design connectors $58. Total New Price: $2,321. My Firm Price $1,200. First email to billfortney@earthlink.net gets it. Geez, Bill – I’ve got to give you some of my old gear to sell! You get results!